When designing and manufacturing battery packs, it is important to recognize that there will be limitations when dealing with specific cost and performance parameters. You may encounter circumstances where you will have to increase the cost of your battery pack or decrease aspects of the overall performance. We'll help detail some of those limitations and how to find solutions that help move your project forward. Greater limitations will occur when using off-the-shelf battery packs. Using an off-the-shelf battery pack may force the developer to work within strict parameters based upon the existing battery’s capabilities. Custom batteries remove many off-shelf limitations, as they are designed to work with an end users application – designed specifically to each requirement. Custom electronics are designed to perform specific functions or additional functions that regular batteries simply cannot. Your off-the-shelf battery is pretty straightforward with basic circuitry for safety. It won't have any specific parameters for fuel gauging, nor will it have a transportation certification. 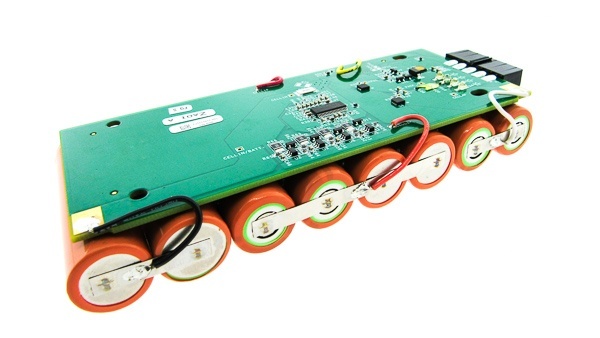 A custom battery is developed to provide the requirements a customer wants. They’re able to select all the bells and whistles for their device, the provider will manage the regulatory approval, and the intellectual property (IP) is owned by the customer so that long-term support is there. It is inevitable that an off-the-shelf battery will be discontinued at some point and won’t be available down the road. With a basic battery pack to support the device, you would use the same type of chemistry and same model cells. The difference would be in the electronics. The electronics for the basic battery are the basic safety for over-voltage, discharge, and short-circuiting protection. Custom Charge Rate designed into the electronics that would allow the battery to charge at specific voltages and cutoffs, as a means to provide longer life cycles for the battery as the result of a more gentle usage. You can have all or any of those features added depending on how you plan on managing or using the battery itself. With a more basic off-the-shelf edition model your features are limited to whatever comes with the battery. Manufacturing a custom designed battery delivers personalized features to make your devices function their best and saves you hassle and money. How Much Do Custom Battery Packs Cost? The battery cell brand is the first major cost driver to consider. Any of the top-tier cell manufacturing brands that the customers are most familiar with and want to use tend to drive up the cost of the cell. Whichever brand and manufacturer you choose go a long way in determining overall cost, but there are other factors to consider. Cell balancing is fairly common with all packs but cost adders come into effect when adding the charging and the fuel gauging features. Essentially all of the added electronic choices of the design will add to overall cost, such as the charger board on the battery, battery management system, and the fuel-gauging IC components. So how does adding custom features to my battery pack increase performance? Let's break down what some of the features add. Cell balancing helps improve the performance because when the pack is poorly balanced, your battery's life cycles become shorter and shorter. Over a period of time as multiple cycles occur, it will continue to drift further out of balance. Another way to increase performance is with the charging profile. If you design the charging system to slowly charge the battery, and not take it to the highest potential voltage, keep it below the maximum threshold, and then discharge down to a healthy state of discharge (prior to the cutoff voltage), your cycles will be "gentler". The battery is not taken to its maximum performance over the cycles it will see, so you obtain more life cycles on your battery pack and it will last longer. You should also factor in heat dissipation considerations. If the battery is enclosed in a tight space, when you're charging it, the cells will heat up. Overheating cells will reduce your life cycles, so factoring in ample spacing into the design to optimize cell configuration for heat dissipation is critical in maximizing longevity of your battery's lifespan. The more complex your custom battery pack design becomes, the more details that will need to be considered. Since electronics drain your battery over time, you've got to factor in what electronics are going be applied to the battery, how the battery is going to be used, and what conditions the batteries will be used in. All parameters need to be established at the onset of the project so you understand the objective and can design the battery to get the maximum performance and maximum life cycles. Custom battery pack manufacturing solutions may cost a little more, but create long term advantages when designing the battery to your specific application.